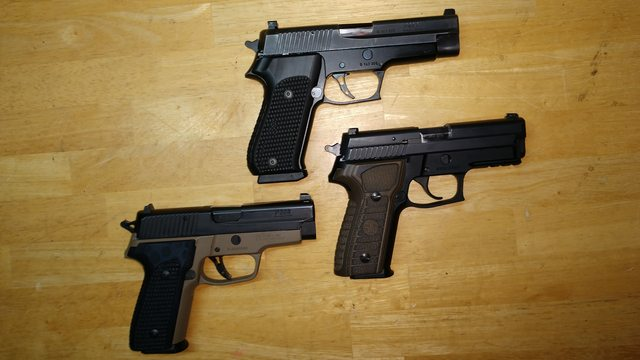 SIGforum.com Main Page SIG Pistols Picked up a P229 Select. At first I was just looking for a host frame for my Legacy P229 .40/.357 slide and came across the Select on GB. I took a liking to it and swung by my LGS to check out the controls on a Legion as it has the same ones. As luck would have it they had a Select to check out instead. Only one they had and told me it has been discontinued. Turns out I do like the controls. Along with the rest of the gun except for the skinny trigger. Which isn't a big deal really as that is easily taken care of but still irritates me that they seem to put that frigging thing on a lot of guns. Every pic that I seen online and from GB had the standard trigger. I was so stoked when I seen it on the shelf till I seen that goddamn trigger. It was over $100 cheaper OTD than anywhere else I could find. So now it's mine. So once again I have to source another trigger and if I'm replacing it I am going to use an adjustable one to take advantage of the SRT. 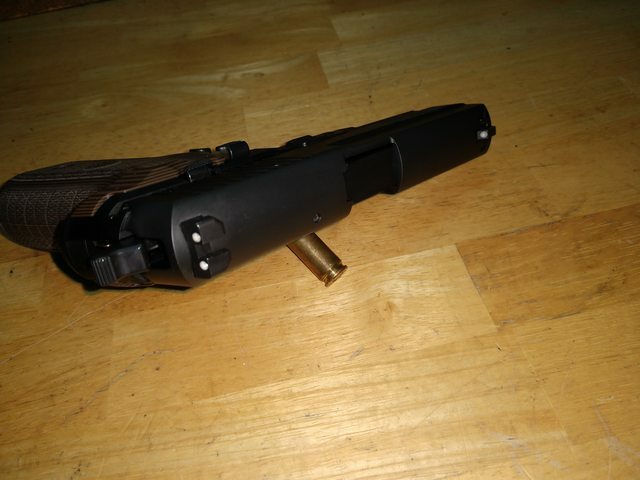 I swear it must have been my lucky day, I used an Armory Craft slightly curved trigger on my 228-1 because I needed a trigger now and Grayguns was out. GG had them in stock and I ordered one before I even left the parking lot. Now that I think about it I should have stopped and got a lotto ticket last night also. Cleaned her out and got some dryfire time in. Other than the trigger it's ready to rock. Between the M11-A1 with an Armory Craft hammer and the stock hammer on the Select the difference is noticeable to me on the SA and DA pull. The AC one is much better. Got one coming for it. Granted the Select is new and I have not messed with the mainspring yet. I can say that the stock M11-A1 mainspring is way heavier than the Selects. Clean looking gun with no unnecessary engraving all over the place. 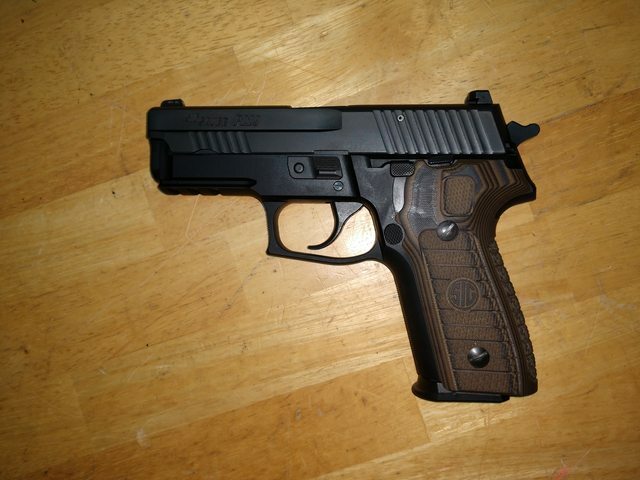 The Legacy slide is a good match, a bit more expensive than the P229R .40 frame I was looking at but oh well. Now it's a triple caliber but the Legacy will sit on top. If I want to shoot 9mm I'll just use the M11-A1 with a dedicated 228 slide and insert. Much better for 9mm IMOHO. 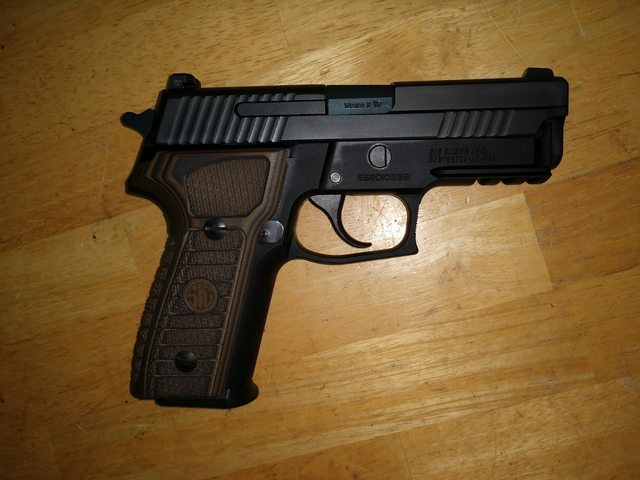 And since none of my holsters will work except a cheap nylon Blackhawk, I had to go looking for something again. I'm going with a Stealthgear AIWB holster. Looks more comfortable than the leather backed ones I have. Headed to the range tomorrow to hate on the trigger and zero some sights. The real caliber war.... Which one to take today? Nice pistol. I have been interested in this one myself. Looks very nice! However I wasn't aware the Select has been discontinued? In fact isn't it one of the newer series, only introduced after the Legion series? I'm just repeating what I was told at the store. I haven't tried to order one to see. Though after seeing a 226 Select I'm pretty sure I know what 226 I'm getting. They are kinda like a poor mans Legion . But with a better finish IMOHO. I'll take a better finish over a couple features that don't really do anything for me. Though a GG trigger to begin with would have been nice. 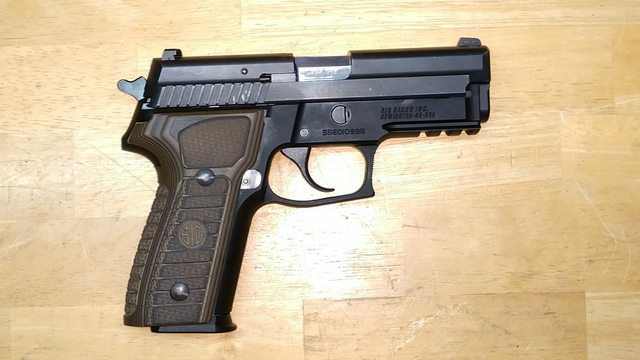 Quick Reply to: Picked up a P229 Select.